The perfect solution for EMR storage & patient privacy. 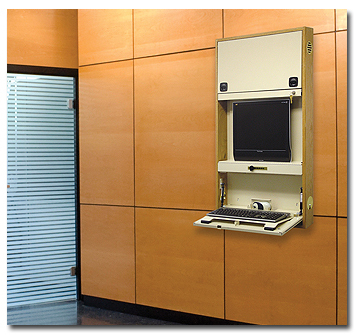 Chart Pro wall desks are the perfect solution for your EMR storage and patient privacy needs. Our versatile work stations as plenty of space for flat screen monitor, CPU, keyboard & mouse. Our industry leading wall desks provide the user with ergonomic control and comfort for efficient, safe workplace procedures. 100% HIPAA compliant.